Sai Krishna Hospital is one of the pioneer health care institutions of Mehsana. Since its establishment in 2010, it has grown manifold and become prominent player in health services. It is said to be biggest super specialty hospital of northern Gujarat. Inspired by the Shree Satya Sai, it is engaged in healing diseases of entire mankind from last five years making it affordable at the same time. At Sai Krishna Hospital, preference is given to quality and effective treatment. They take clinical research, training, education, and treatment as social responsibility and fulfilling their commitment for care. Sai Krishna Hospital is established in the centralized location of Mehsana to provide health care services to urban and rural areas of Mehsana. It is fully equipped with modern facilities and advance technology to offer best medical features. Currently, it has capacity of 175 beds, 7 well equipped modern OT along with featured infrastructure. It is multi storey building in which there is centralized atrium having seating capacity of 150 people. It is brilliant place of health care where people can find treatment for every illness. Sai Krishna Hospital management has established expanded wings of OPD through which they are providing health care services to visiting patients. General physician, Orthopedic, Gynecologist, and other such renowned doctors are supervising OPD facilities in Sai Krishna Hospital. 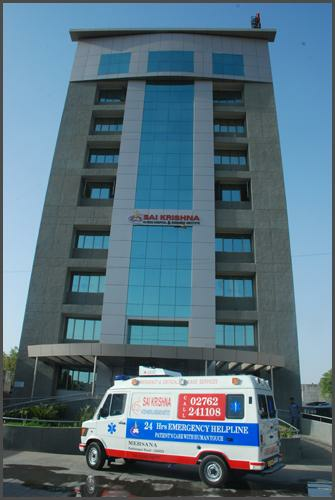 Sai Krishna Hospital has developed Trauma center to provide emergency services in Mehsana. It is well established department infused with experienced team of doctors, trauma operation theatre, ICUs, 24 hour ambulance, and skilled staff to manage every critical case brought in the hospital. Cardiac care facility has been incepted as a separate section to provide complete treatment for people suffering from cardiology problems. This feature comes with all advance machinery and equipments to give prompt results in treatment of people. 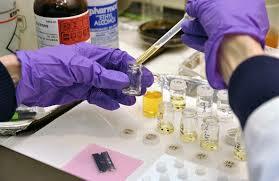 Here, they access the disease, evaluate the impact, and provides conclusive results for best treatment. For that, they have installed non invasive and invasive cardiology along with Philips Allura Cath lab to serve better. Sai Krishna Hospital has established 24 ICU and 6 NICU beds along with Haemodylasis unit to offer best treatment for critical illness. These units are established with trained staff and efficient doctors to maintain importance of this department. Sai Krishna Hospital has incepted well equipped radio diagnostic facility in its premises. The section has been infused with multi slice CT scan machine, X-ray mammography, Ultra- Sonography, and color Doppler apparatus which provide accurate detection of disease. This facility is offered round the clock for helping patients anytime. 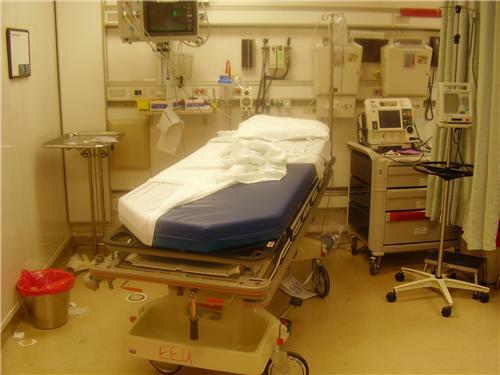 The Hospital has been furnished with distinct microbiology lab and pathology lab within its arena. These both labs are operated by skilled staff members and experienced doctors. Alongside, management of Sai Krishna Hospital has attached renowned specialist doctors for visit once or twice in a week. These doctors are available as per scheduled or in case of urgency, they can be available with prior appointment. You can get an appointment by calling the hospital reception.